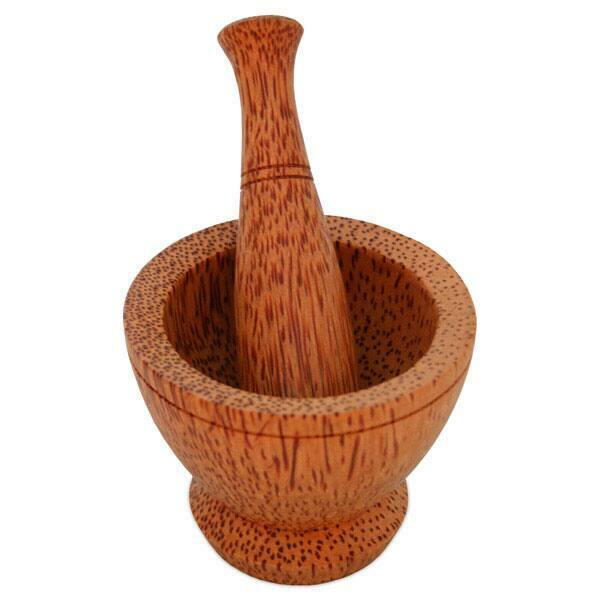 Update your kitchen with our hand-carved Wood and Mortar Pestle Set. In our home, we LOVE Thai food. This small mortar & pestle was given as a Christmas gift and encouraged the recipient to begin a collection of mortar & pestles - large & small and from different countries. We would definitely make the purchase again and again. This item was delivered promptly and as described. It was purchased as a gift for my nephew who plans to be a chef. Hopefully he will get many years of use from his gift. 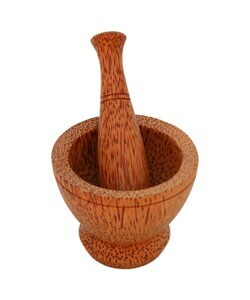 I bought this for my mom for her to grind herbs for cooking. When we get it .. it's very small and can't even grind a leave because it's too small and very light. It's only good for show .. not to use around the house. I am not good with numbers so when I saw measurements, it did not click in my mind that was smaller than what I wanted.